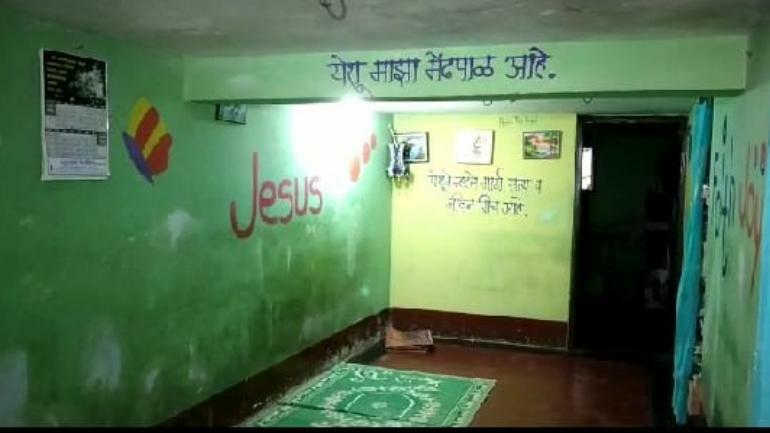 Home /Recent Post/Another Armed Mob Attack, 12 Injured during Sunday Church Gathering in Maharashtra’s Kolhapur: Stop Impunity for Hate Crimes: NCHRO Fact Finding. 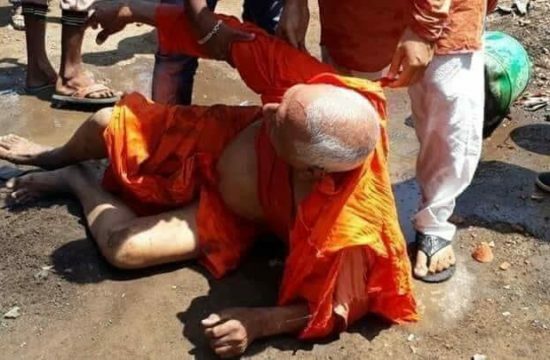 Another Armed Mob Attack, 12 Injured during Sunday Church Gathering in Maharashtra’s Kolhapur: Stop Impunity for Hate Crimes: NCHRO Fact Finding. Stop Impunity for Hate Crimes: NCHRO Fact Finding. 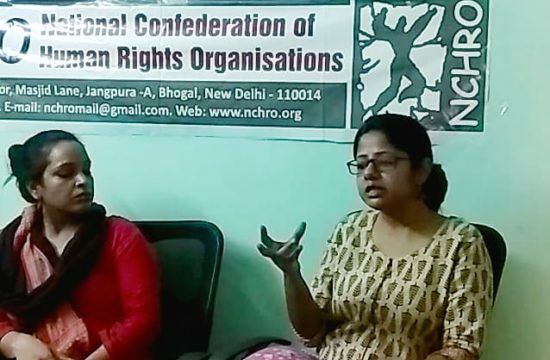 A delegation of the National Confederation of Human Rights Organizations (NCHRO), undertook a fact-finding to the Kowad Village, Chandgad Taluka , Kolhapur District in Maharashtra, India, were around 40 people attending the Sunday Mass were brutally attacked with stones, iron rods, swords, sticks and beer bottles by the armed mob on 23-dec-2018. The incident, took place two days before Christmas. Of the 12 injured victims, five are grievously hurt and they have been admitted to a hospital in Belagavi and are in the Intensive Care Unit. Our country has many areas with deep roots of violence and impunity and these attacks was another sign that the country’s syncretic values and democratic principles are under threat. A central principle of our Constitution is the right not to be discriminated against on the basis of race, religion, ethnicity, or gender. Rights to life, freedom of thought, conscience and religion. 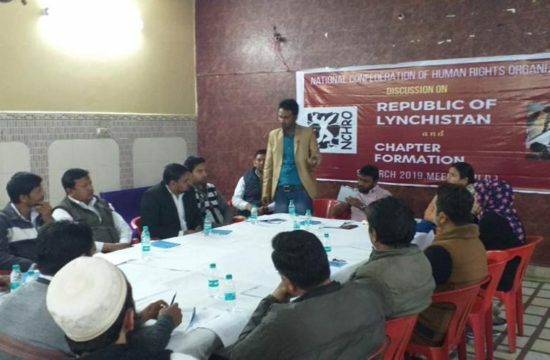 The NCHRO delegation was composed of civil and human right activists Md Abed Ali, Md Meraj Ansari, Syed Aslam Qazi, Faisal Tamboli and Mahemood Beopari. During its mission, the delegation met and discussed with various stakeholders from the state apparatus and civil society. The delegation visited injured in the hospital and received testimonies from victims. The preliminary findings indicate that the situation of violence is of great concern and our pluralism is in grave peril. The victims were attending the Sunday mass at the residence of Bhimsen Chavan in Kowad village, located on the Karnataka border. They regularly conduct the Sunday prayer attended by women and children from surrounding villages, most of them were converted from different backward communities. The house is also used as a place of worship and is registered as the “New Life Fellowship” church. 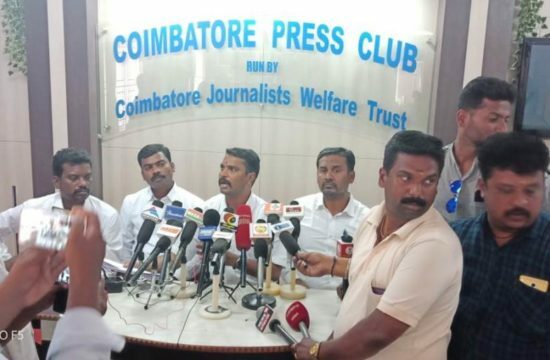 On 23-Dec-2018 at around 11.30 am, Group of men in masks attacked the congregation. 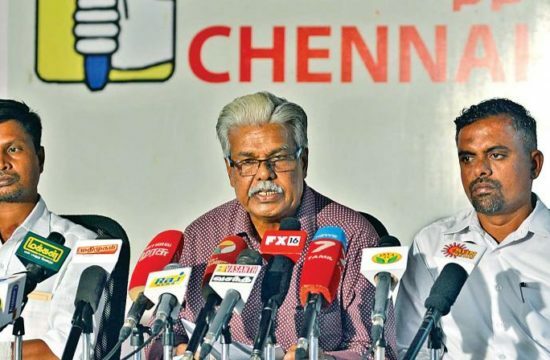 The assailants who had come on 15-20 bikes with number plates covered turned into two groups, one group barged inside and started the assault with iron rods, swords, sticks, beer bottles and Koltha(Sword like sharp weapon) and the other group stood outside the prayer hall to ensure that no one can help the poor people assembled for prayer. The assault went on for some 30 minutes, following which police arrived and the attackers fled. While the assailants were leaving, threatened that ‘From next Sunday onwards no one should be seen Here’. The attackers had their faces covered to avoid being identified. All indicates the rampage was well planned. The attack left 12 injured, out of which five were seriously hurt and admitted to a private hospital in Belagavi district, Karnataka as it is just 25km from the village. Some women, who were part of the prayer meet, forced the attackers to back off by throwing chilli powder on them limited the casualty. The victims also included women. The entire area in panic and traumatised by the attack. 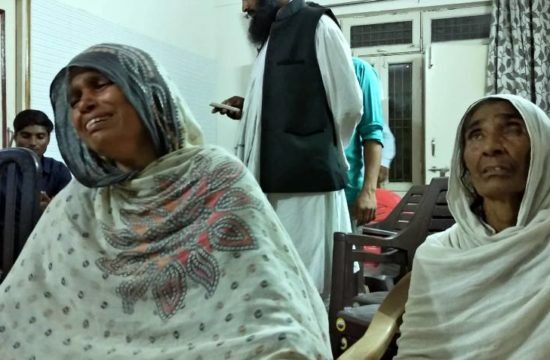 The purpose of the attack was to scare people not to worship or preach their religion and spread hatred among the communities and disturb the law and order. Local sources cite threats by the Hindu extremist group over the past few weeks as a possible motive of the attack. NCHRO team visited the Kowad village,Talgudi and met the sarpanch of Talgudi Mr Ahemad Zuber Qazi but the harmful effects of violence was visible as no one was ready to speak about the attack. 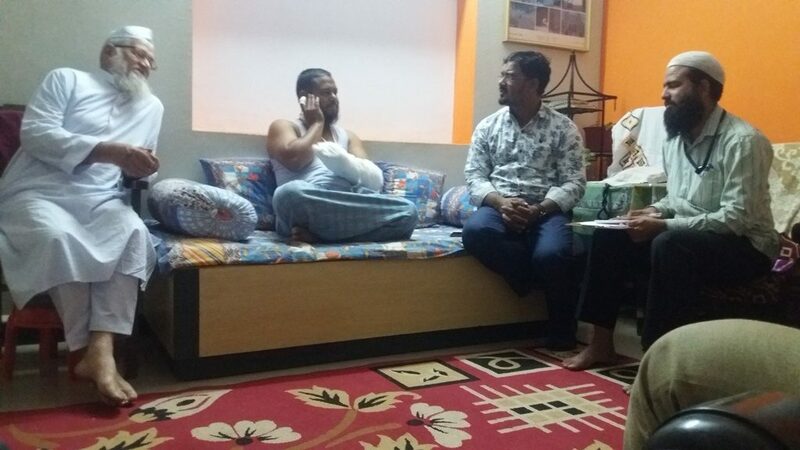 The NCHRO team met the victims of the violence, who were undergoing treatment at the KLE hospital, Belagavi. 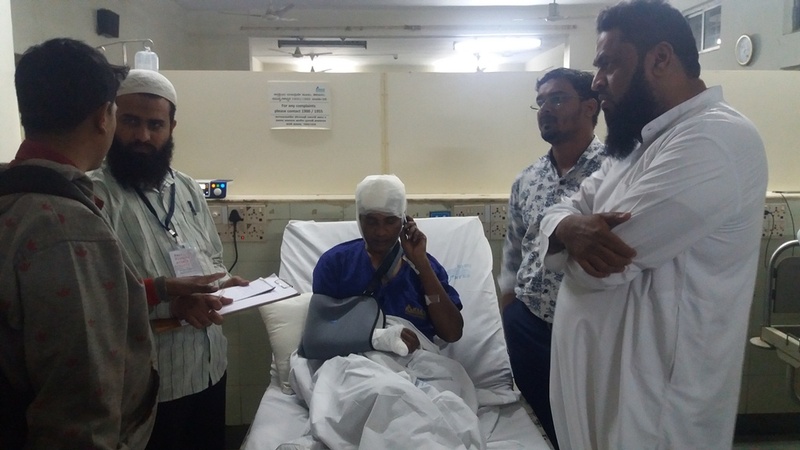 Vithal Babu Jadhav who severely injured in the violence encapsulated the horror of the attack to the NCHRO team. The hate crime didn’t stop with the attack on church gathering. Post to the rampage armed mob’s sadistic quests to inflict pain on members of minority groups increased. They attacked some more people in Dindalkop and Talguli villages while running towards Belagavi. New preys were: – Wasiullah Inayatullah Qazi, Khamar Khutbullah Khatib ,Hafiz Hussain and Hamid Dadu sheikh. The NCHRO team met these victims too. Wasiullah who was in his car in between Kudnur and Talgudi with Khamar Khutbullah Khatib and the armed mob was on their return after church attack. 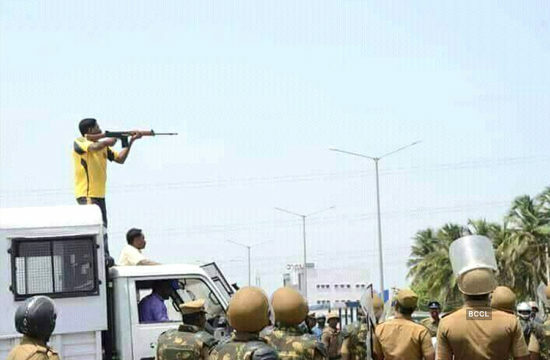 Wasiullahs is a bearded man and easily recognized as a muslim and the ultimate harm for him in the worst way imaginable, that the armed mob attacked him with Sticks,Iron rod, and Koltha. Somehow he stopped the attack of sword on his hand otherwise he was supposed to die. His car too thrashed. Khamar is a clean shaven and mistaken his identity the mob didn’t turned to him. But when Khamar tried to rescue Wasiullah , he too beaten with Sticks. All this was happening near the Talgudi Village, so women of the village started shouting though mob ran away. 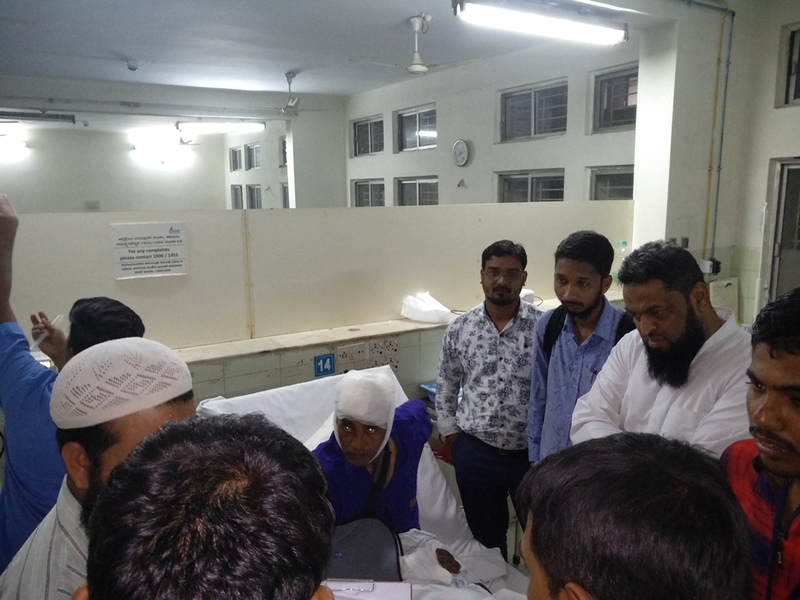 Similarly when the mob saw a TATA ACE vehicle (registration number KA23 A 1592) with sticker “MASHA ALLAH” , they turned violent again, driver Hafiz Hussain too severely beaten and his vehicle smashed. 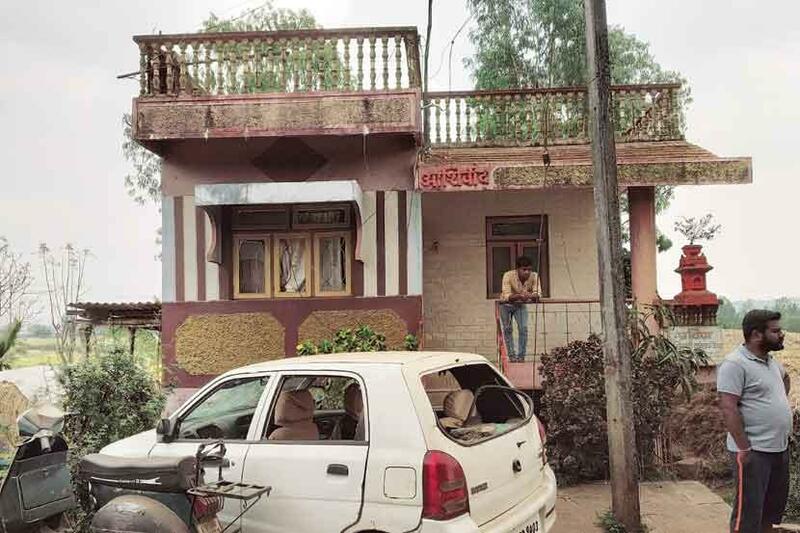 Lastly the gang attacked Hamid Dadu sheikh near Kurihad Village of Belgaum but he ran away through the fields when he realized the intentions of the gang but his Tempo got damaged. NCHRO team also met Kolhapur Superintendent of Police Abhinav Deshmukh, he briefed the incident and added that after the attack the mob ran towards Belagavi and they are looking at all angles and investigation is underway. 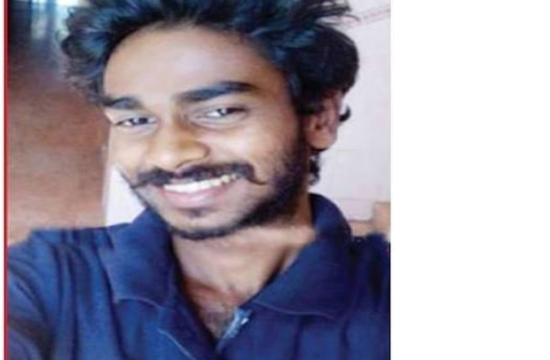 He himself stayed in Belagavi for two days for identifying the assailants. As a result, so far 6 from the mob were detained and some others were identified. So the work of Superintendent of Police Abhinav Deshmukh must be appreciated as he acted swiftly that nabbed the culprits. In this connection police launched two FIR’s first on 23/12/2018 and second on 28/12/2018, seems have to file four FIR’s separately against these barbaric hate crimes instead of two. 1) Ending the culture of impunity for those who indulged in violence. The authors of these violence and abuses, regardless of their affiliation, should be held accountable for their acts. 2) Centre and State governments to take preventive, punitive and remedial measures to stop “horrendous acts of mobocracy”. 3) The experience of mob violence till now shows that victims and witnesses have been further victimised after the incident. It is extremely rare for the police to take appropriate steps, including lodging FIR’s and conducting credible investigations in those types of cases. Victims’ families are rarely aware of the status of their cases. The scourge and cycle of communal hatred and violence can be stopped only by real policing and protection to victims and witness. The rule of law is supreme in our constitutional democracy. Any unlawful acts, particularly those that violate the rights of any citizen, should be punished with the full force of the law. 4) Increase protection at places of worship. 5) Strongly rejects policies and ideologies aimed at promoting hatred. 6) There was no central system for recording and collating details about crimes motivated by hatred, which made it difficult to understand the scale and extent of these types of crimes, and how to deal with the issue. Law enforcement and equality bodies need the right tools to deal with hate crimes. 7) Government must consider why victims of hate violence fail to report these crimes to the police. Ensure that it is efficient and safe for all victims of hate crimes to contact the police. 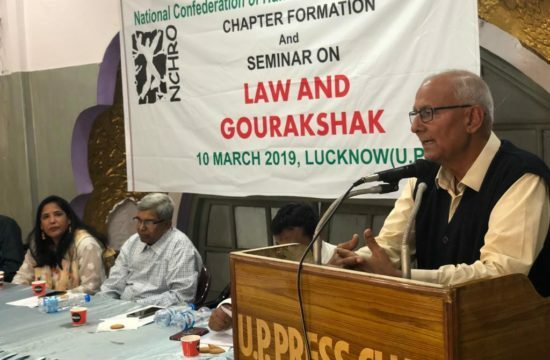 8) Protect the rights of religious communities to build places of worship and practice their religions safely, maintain an environment in which the preaching and practice of one’s faith as ensured in our constitution. NCHRO strongly believe that combating hate crimes requires an integrated approach, Law enforcement officers and politicians have a pivotal role to play, as they are usually the first intervening to protect or to respond to hate crime incidents. 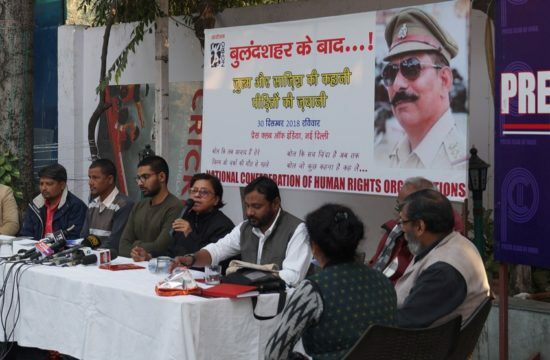 Fact-finding is at the heart of human rights advocacy, these fact finding in a way of Public condemnation sends an important and reassuring signal not only to the community directly threatened by hate-bias crimes, but to the entire society that such crimes are repugnant and will not be tolerated. Perpetrators of hate violence perceive a lack of police, media, and public response as encouragement to commit additional acts. We should not feel alone. Hate violence is a nation problem, not an individual one. Most communities are willing to stand up to hate crimes and to insist public officials take appropriate action.